Attacker who slipped between opening in wall, stabbed and hit soldier in the head with a stone, charged in court. An indictment was filed against the terrorist who seriously wounded an IDF soldier in an attack near Beit El last month. The attacker is charged with attempting to intentionally cause death, a charge which is equivalent to attempted murder, and with other offenses. The Military Prosecution requested to extend the detention of the terrorist and the court granted the request and extended his detention until the end of the proceedings. 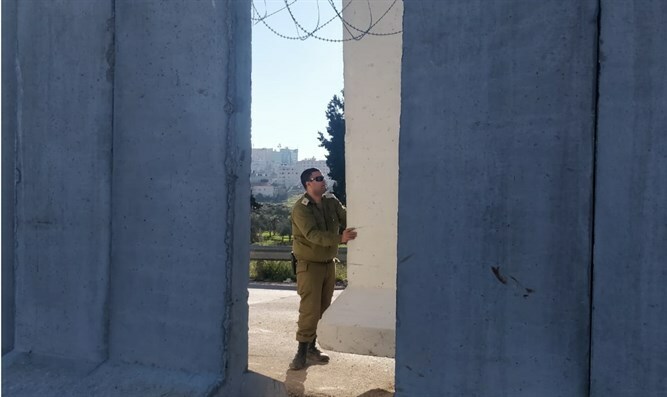 During the attack, the terrorist slipped through an opening in the wall protecting Beit El and proceeded to stab the soldier and hit him in the head with a stone. The IDF conducted an extensive search for the attacker, who turned himself in several days later.